The Spiritual Master  The highest human potential is God-Realization, the complete awakening from this "dream" of limited existence, as the One in Whose Consciousness the dream is arising. And the way to perfect Realization of God is through a moment-to-moment process of communing with God, by feeling God and self, and feeling beyond self to God. But how does one find and feel God for real? All the wisdom traditions of humankind point to a single answer: we locate God (either partially or fully) through the Transmission of a Spiritual Master. So the "how" of Realizing God actually has a simple answer: find a genuine Spiritual Master who transmits the Divine Reality, and become a devotee of His or Her Spiritual Transmission. The Practical Spirituality Press  The 25 e-books in the Press's The Practical Spirituality Series are aimed at addressing all the core issues of genuine spirituality and spiritual practice, in a manner that is very easily accessible to readers with no particular background in spirituality or spiritual literature, but whose hearts yearn for Something Greater. The first nine books in the series are currently available; titles include: "You CAN Take It With You" and "Habits of Highly Spiritual People". Beyond Believing  Why settle for believing in God, or even for some "spiritual experiences" now and then, when the tangible, ego-melting, suffering-dissolving Revelation of Real God, pervading, washing, and dissolving "you" again and again (through a lifetime of Spiritual practice), would utterly transform your life, and fulfill your heart's otherwise unendingly unfulfilled desire for perfect happiness? About Adidam  In an age adamantly committed to the viewpoint and life of materialism, Avatar Adi Da Samraj has appeared like a Storm of fresh rain in a Spiritual desert. Adi Da Samraj offers all the opportunity for Perfect Happiness through Divine Realization, by practicing the Way of Adidam. Adi Da and Adidam: Personal Perspectives — This website celebrates the Life and Work of the Divine World-Teacher, Adi Da Samraj, through many personal accounts of devotees' direct relationship to Him. The site is a firsthand source of information for those who want to learn more about Adi Da and the Way of Adidam, the new Spiritual Way of life that He offers. 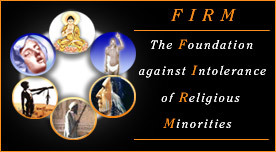 FIRM  The Foundation against Intolerance of Religious Minorities (FIRM) advocates the human, social, and civil rights of all religious and spiritual groups, large and small. FIRM provides education on all the varieties of prejudice, both overt and subtle, that are currently being practiced openly against many religious minorities. FIRM also chronicles the history of persecution throughout the ages of religious minorities and their spiritual leaders (including persecution of Christianity in its infancy, leading to the deaths of Jesus and many of his disciples), and it examines the origins of (and the motivations behind) such persecution. 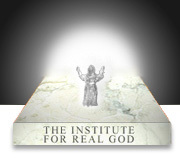 conventional religion  We emphasize learning to find God for real, rather than settling for belief only, as members of many traditional religions are taught to do. piecemeal, "do it yourself" spirituality  Our focus is on practices that are systematic in bringing about genuine Spiritual Realization. This, rather than the piecemeal practices and experiences one often finds in many "New Age" circles. scientific materialism  Unlike scientific materialism, we do not exclude the spiritual or the subjective from our study of Reality. We focus on spiritual practices that are based on the full nature of Reality and that can thus identify and realize the greatest human potential. Five-Minute Life Changers  Got only FIVE minutes? Five minutes  spent considering the right subject in the right way  can change the course of your life. 1 2 3 GOD  The requirements of the Way can't be changed, but the Way Itself has been streamlined: the Great Path of Return (which takes eons of evolutionary time) has been replaced by the Way of God Present (in which, with Great Help, God can be Realized even in a single lifetime). 1-2-3 GOD outlines the necessary three steps. Adidam New England  Event listings, photographs, newsletters, and other information for the Adidam spiritual community of New England. Adidam DC  Event listings, photographs, newsletters, and other information for the Adidam spiritual community of Washington, DC. Adidam Lake County  Event listings, photographs, newsletters, and other information for the Adidam spiritual community of Lake County, California. Adidam Los Angeles  Event listings, photographs, newsletters, and other information for the Adidam spiritual community of Los Angeles. Adidam Seattle  Event listings, photographs, newsletters, and other information for the Adidam spiritual community of Seattle. 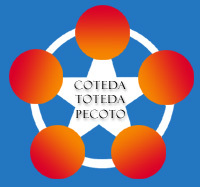 Adidam Ohio  Event listings, photographs, newsletters, and other information for the Adidam spiritual community of Ohio. Adidam Australia  Event listings, photographs, newsletters, and other information for the Adidam spiritual community of Australia. Adidam Chicago  Event listings, photographs, newsletters, and other information for the Adidam spiritual community of Chicago. Adidam Twin Cities  Event listings, photographs, newsletters, and other information for the Adidam spiritual community of the Minneapolis/St. Paul area. Not-Two Is Peace  Adi Da's book, Not-Two Is Peace, is about the ordinary people's way of Global Cooperative Order. Crane Kirkbride  The home page of opera singer, Crane Kirkbride. Crane's site offers his 2 CD's, "Liquid Light" and "An Infinite Well". It also tells the story of how he was born into "old money" in New York City; and how, after decades of spiritual seeking (and seventeen years as a monk in the Vedanta tradition), he became a devotee of the great Spiritual Master, Adi Da Samraj, which utterly changed his life and put an end to his spiritual search. The Ascent of Orpheus  The Ascent of Orpheus: Between and Beyond Representation and Abstraction is an exhibition of the art of Adi Da Samraj at the Bargello National Museum, Florence, Italy, 9 July - 11 October, 2015. This official exhibition site is also a moderated forum for discussion of the themes and issues raised by the the exhibition.